What are your “and” words and why? Fearless and Humble - I have always tried the road less traveled. Even though the destination may be common, the way to get there can be taken a million different ways. I look for the one no one has tried before. Or, I try to insert a different way of thinking into a common conversation. It is my deep belief that everyone has value and has a contribution. You never know who is who or what they can bring to the table. What you are known for saying / a quote from you. What does this quote mean to you, (or if it’s from someone else, why does it inspire you)? Those that are crazy enough to think they can change the world are the ones who do! - Think Different Campaign, Apple Computer. This quote (and the full poem - Here’s to the Crazy Ones) spoke to me like no other. This is inspiration to know that even though you may be alone in seeing a potential future, that vision will allow you to change the world in some way. It has themes that I reference in almost every endeavor that I am involved. In my kick off for Deep Space Predictive, I shared the video and poem with my team! Which other Ladybadasses inspire you and why? Dr. Mae Jemison (Astronaut) for her fierce adherence to her vision for inclusion and science/space for all, and Bozama St. John (Marketing Executive) for her utter fearlessness and ability to be true to herself in every part of her life. When did you first realize that you had some Ladybadassery in you? Other than the fact that I am hard-headed and it takes a while for things to sink in, it took a long time. I would have glimpses here and there about my leadership ability, but didn’t fully realize it for quite a while. When I was in graduate school, we had thought experiments and team activities. I had always said I was a behind the scenes type of person, but I always spoke up and shared my thoughts. Inevitably, I would be selected as the group leader. It has continued in almost every endeavor that I have been a part of since then. I have always risen to the top role of leadership, which has helped my realize my Ladybadassery. I was the first and only woman to be selected on my own as class speaker for Leadership Denver class which was a pretty big deal. What keeps you motivated on days when you aren't quite feeling like a Ladybadass? I listen to and read other people’s stories. I am a podcast junkie, especially when they share their ups and downs, challenges and failures. If they are telling the story, that means they got through it. I try to learn and be motived by their life lessons. The last book my grandfather and I read together was Ted Kennedy’s True North. As a well known speaker and orator, he reflected on his early days of giving speeches. He started off speaking to people in high school gyms. I appreciate the stories that remind you beginnings can be humble and it takes time to get where you want to go. Most overnight success takes 5-10 years to make that success happen. What is your advice to other women who are trying to tap into their Ladybadassery? While I am not a very religious person, I attend church. Every time I go, I get a great message from the pastor. The day I write this, the message was to “value your own lane.” We as women tend to downplay our contributions and devalue our experiences because we are women, because someone else may seem more accomplished, or because someone may be doing more. Our lane is an important one and our passion and work and determination will make a difference. Sometimes friends and colleagues comment on my community or career work and say they wish they could do the same, especially those with children and families. I tell them their most important job is to raise and love their children and create a happy home. That takes a TON of work, dedication, and love. They can tap into their skills and creativity in any arena. Even though I don’t have children, I tell my friends that my role is to create a village and community for their children to have safety and opportunity as they go through this thing called life. 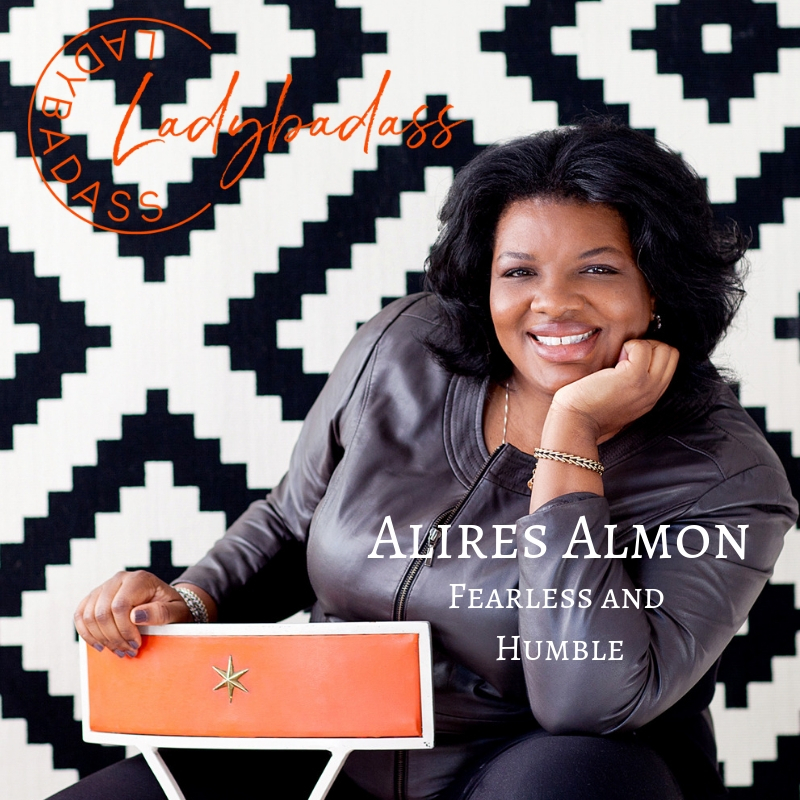 Alires is the founder/principal investor of Deep Space Predictive, a collaborative multi-disciplinary group formed to ensure the mental health, well-being, safety, productivity and enrichment of human teams from a holistic perspective, typically throughout long duration engagements or missions.